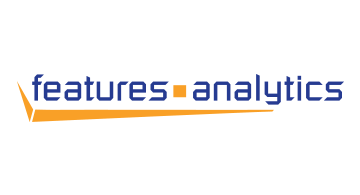 Features Analytics, based in Belgium, has developed eyeDES®, a unique Streamlined Machine Learning™ modeling technology and platform for real-time payment fraud prevention and real-time anomaly detection. We deliver solutions to banks, eCommerce, acquirers and payment processors. Our current customers are very large financial organizations in the United States, Europe and Asia. eyeDES® machine learning models use unique self-learning features and algorithms to deliver unbeatable performance and performance stability over time. Using a single, integrated eyeDES® platform, model deployment into production takes just seconds, cutting drastically the solution time and implementation costs. Features Analytics bespoke solutions consisting on eyeDES® models together with the platform are implemented to deliver optimal performance for payment fraud detection and prevention, market surveillance and AML. eyeDES® provides you with the critical facts and the right answers you need exactly when you need them, so that you can take the best business decisions in real time.